Lee Conklin's early influences were pen and ink masters Heinrich Kley and Saul Steinberg.After seeing articles featuring Wes Wilson's poster art, Conklin was inspired to visit San Francisco and show his art to Bill Graham. 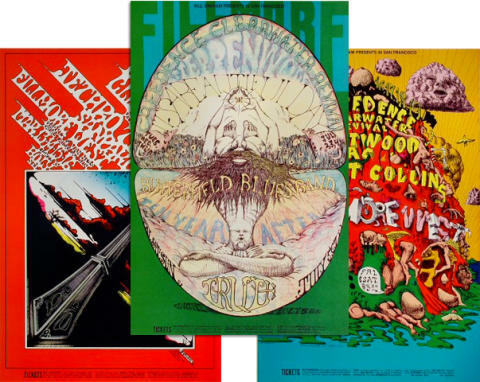 Conklin was soon commissioned to do posters and produced 31 original designs for the Fillmore between 1968 and 1969. Conklin rendered both graphics and calligraphy in intricate detail. What began as a personal challenge to disguise images within images and lettering soon turned into a concerted effort to turn every single letter and figure into another form, stretching the imagination to new limits.